A recent case that appears to have slipped under a lot of radars, and that's a shame as it's turning into a right doozy, is Benjamin DuBay vs Stephen King. 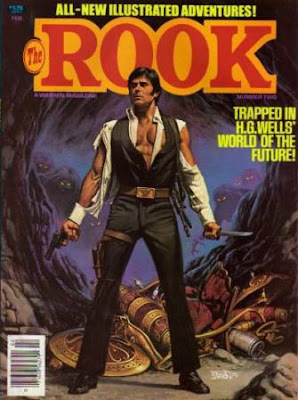 In short DuBay, the nephew of comic book creator Bill DuBay, is claiming that King, the legendary author of all things horror, stole the concept for the hugely popular series (and a rather poor film) The Dark Tower from Bill DuBays Warren series The Rook. Naturally King denies this, as you'd expect him to. There's an obscene amount of money involved with this, as you'd expect, as King's work is probably more profitable than anyone out there.